“Aloft” is now playing at Sundance Cinemas. R, 1:30, two stars out of four. “Aloft” is a movie that throws you into the mix without much warning at the beginning, and yanks you back out at the end even more abruptly. I didn’t mind that writer-director Claudia Llosa’s film didn’t answer all of the questions that it posed. It’s just that, when it did provide an answer, it was often trite and obvious. 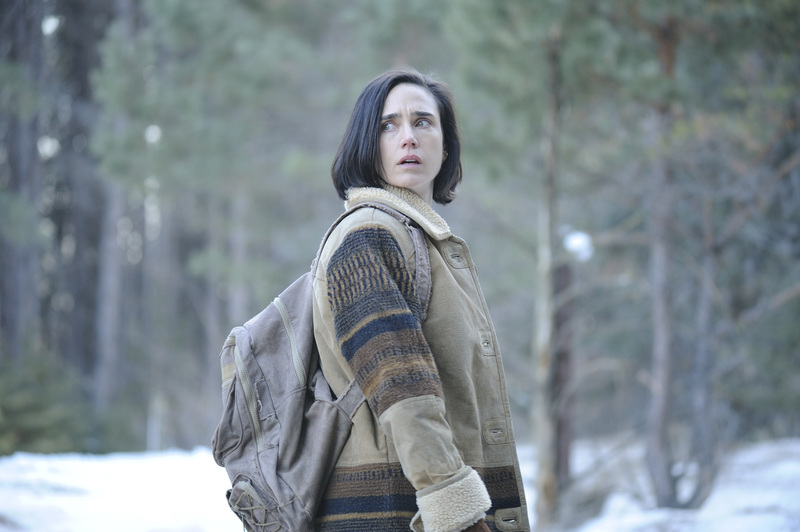 The film starts off in rural Manitoba, as harried single mother Nana (Jennifer Connelly) struggles to take care of her two sons, Ivan and Gully (real-life brothers Zen and Winta McGrath, who have a natural chemistry together). Gully is sick with a tumor growing inside him, and the fearful Nana is all raw nerves and sudden bursts of anger. Just when we think this is going to be a working-class drama, Nana takes her sons to visit a mysterious artist named “The Architect,” who travels the world creating art installations called “acts” out of natural objects — sticks, rocks, trees. The “acts” are thought to have magical healing properties, and Nana is one of a crowd of people who come to see The Architect’s latest creation, a cathedral of twigs and branches. The “act” goes awry, but the Architect later comes to visit Nana, suggesting that she might have the power to create and heal as well. It’s just that she can’t heal her own son. 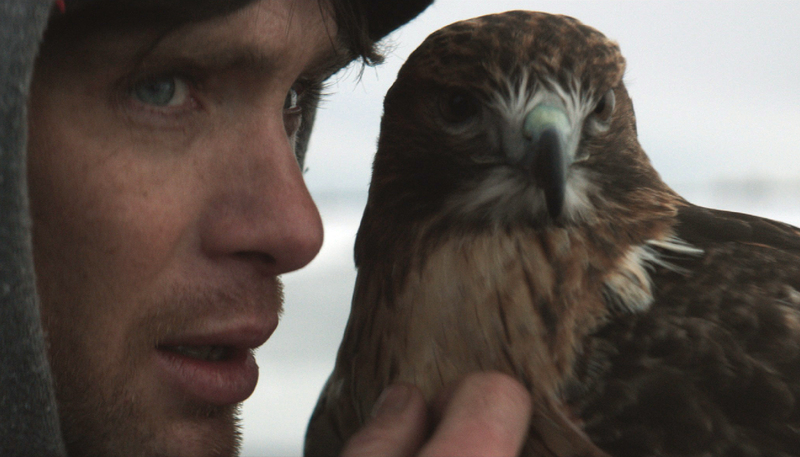 This storyline weaves into another one, set 20 years later, following a young father (Cillian Murphy) who keeps a falcon. We soon learn that this is Ivan, grown-up and deeply bitter. A documentary filmmaker (Melanie Laurent) visits him looking for information about his mother. Together, they decide to travel to the frozen wastes of Nunavut, where the Architect is preparing the next act. The muddy-boots-and-mysticism vibe of “Aloft” is intriguing, and Llosa is careful to ground any of her New Age musings in the pain and desperation of blue-collar living. The beautiful widescreen cinematography of Nicolas Bolduc makes that connection explicit, finding beauty in an icy parking lot or a vast expanse of snow. The performances are strong, especially Connelly’s breathtakingly flinty and wounded Nana, and Murphy in a grittier role than we’re used to seeing. For much of the film, the audience is busy connecting dots between the two storylines to figure out what happened between mother and son. But the lines that get drawn are unsatisfying. For example, there’s a haunting sequence in which the grown Ivan freaks out while crossing a frozen lake at night, terrified that the ice is cracking beneath him. At first it could be an elliptical metaphor for the terrors lurking beneath the surface of everyday life. But, no, it’s eventually revealed that Ivan had a childhood trauma involved a frozen lake. Pretty pedestrian. The film abruptly ends just at the moment where we think the climax will begin, and it’s hard to know whether that’s an artistic choice or a studio-mandated one; apparently a good half-hour of the film was cut between its festival run and theatrical release. Either way the result is an unsatisfying one, never more unsatisfying than when it’s trying to satisfy us.